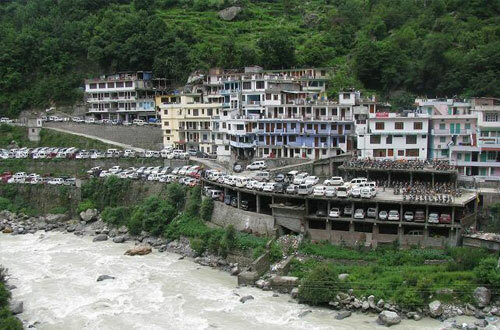 Govindghat is situated on NH58 at an elevation of 6000 ft above sea level. It is the commencement point of the trek to Hemkund Sahib and Valley of Flowers. 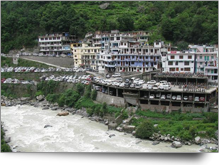 Govindghat has good parking space available where you can park your vehicles while a visit to Hemkund Sahib. Govind Ghat is located on the banks of the holy Alaknanda River. There are several hotels, restaurants, resorts and lodges in Govindghat providing good and comfortable accommodation facilities. 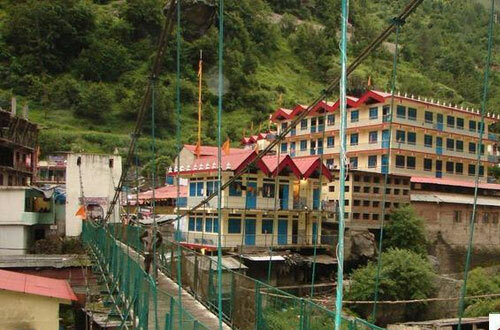 Thousands of devotees, adventure lovers and nature lovers come to Govind ghat every month to visit the holy shrine of Hemkund Sahib and mystical beauty of Valley of Flowers. 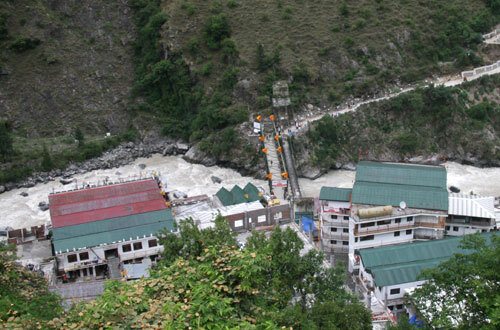 A Gurudwara located on the right bank of Alaknanda River is the most important place of the area. All essential stuffs required for trekking, are easily available in the local market. You can hire Mules and porters from here to reach Ghangaria, which is the base camp for visiting Hemkund Sahib and Valley of Flowers. Govindghat remains opened from May to October end as the region remains closed in the winter months. 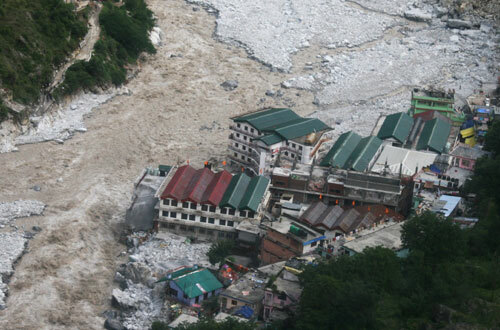 The climate of Govindghat remains salubrious throughout the year. Hemkund Sahib : The tenth Guru of the Sikhs, Guru Govind Singhji mediated at Hemkund Sahib for years. The word Hemkund literally suggests 'Lake of snow' and the immaculate water of this lake is as cold as snow. Hemkund Saheb is located at an elevation of 4,329mts above sea level amidst several snow capped peaks, which are collectively called Hemkund Parvat. A star shaped gurudwara near the lake is visited by thousands of devotees every month. A temple dedicated to Lakshman, brother of Lord Rama is also located here. 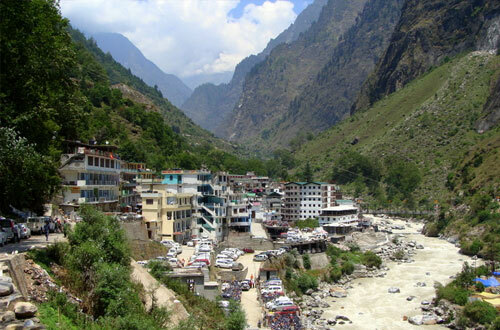 One must complete a trek of 19km starting from from Govindghat to reach Hemkund Sahib. The best time to visit this place is from July to November. Valley of Flowers : Valley of Flowers National Park is nestled in the west Himalayas covering an area of 87.50sqkms. 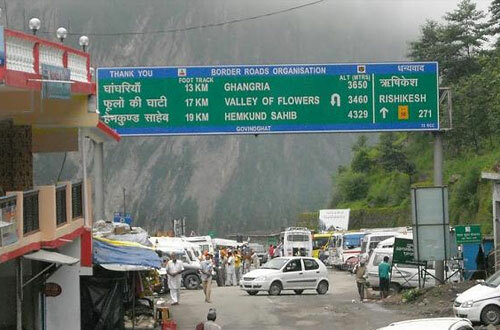 The trek of 16km to Valley of Flowers commences from Govindghat. The valley is entirely covered with blooming flowers from June to October and with the sheets of snow during winters. The Valley of Flowers was declared as the national park in the year 1982 and it is now a world heritage site. The virgin beauty of this valley lures the botanists, nature lovers and adventure lovers as well. It is the home of over 500 species of wild flowers. 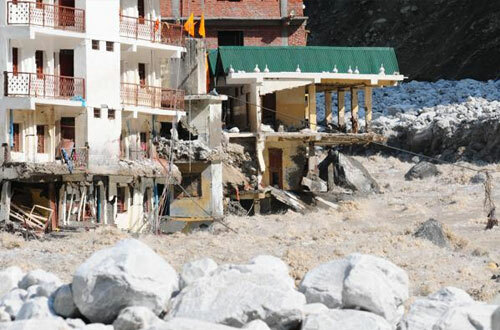 Ghangaria : It is the last human habitation centre on the way to Hemkund Sahib and the Valley of Flowers. 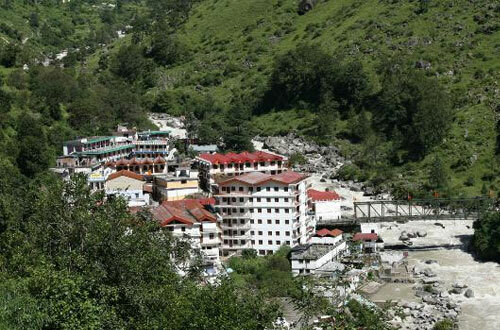 Ghangaria is a scenic hamlet perched at an altitude of 3,050mts above sea level at a distance of 13km from Govind Ghat. The trek becomes easy to moderate from this point if you are travel towards Hemkund Sahib. 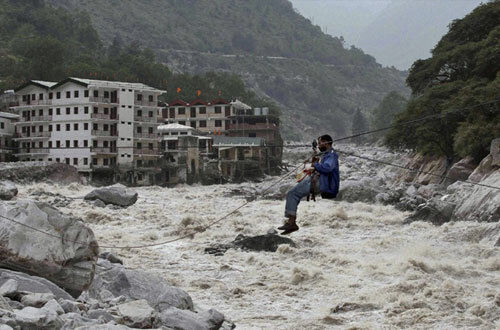 The region is prone to heavy snowfall in winters, therefore the region remains opened from May to October. A Gurudwara, GMVN rest houses and a few more hotels provide accommodation facility at Ghangharia.